I love the look of clothes with mixed fabric colour-blocks. Yet, there are surprisingly few items like this in my wardrobe. Layering clothing is a versatile way to play with combining fabrics, but mixing fabrics, within the same garment, creates endless possibilities for unusual shapes and proportions of colour and pattern. The three inspiring examples above, are from Issey Miyake’s Spring 2016 , and older Specks and Keepings and TM Collections. Each of them mix small prints with solids. 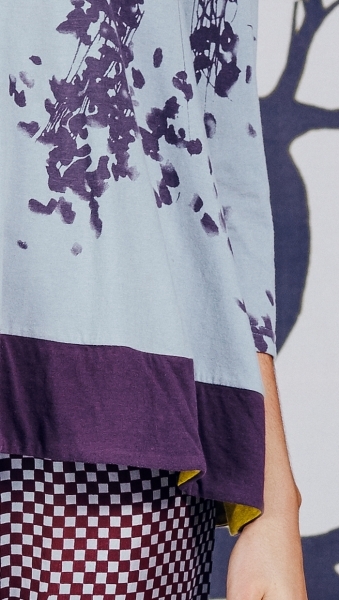 The patterned areas break up the body in a way that layered garments don’t. Also notice the use of contrast binding in two of the outfits. It’s just a sliver of a new colour but it’s an important ingredient! As I take inspiration from these, I’m going to prepare some new bias bindings to have on hand. We often hear that curvier and shorter figures should steer clear of colour blocking. The red and brown TM Collection dress is an example of how colour blocking can be used to divide the figure a lengthening manner. The assemble below is from the current TM Collection. The purple band at the bottom of the top, when worn with these wonderful purple check trousers, creates a leg lengthening effect. And here’s something I find very exciting! The hem is faced with a bright yellow! This is a great idea for all those high/low top hems (which seems to be every top at them moment). I just had a quick look for patterns with high/low hems and found this from Butterick. Is anyone else bothered by seeing the seams and hem? In this case they contrast with the right-side fabric too much. I’m not sure I would select that pattern, but I do own this next one. I think I have been put off from making it by the bottom frill. A bit fussy and Not really my ideal frill location. I have a number of clothes with frills and they never feel quite right. Maybe I’ll go see what solids I can find for the bias binding and hem facing. I may have found my next project. Oooh! Yummy fabric choices. I totally agree that colour blocking can be flattering! I am very interested in color blocking but I’m also a little afraid of it. 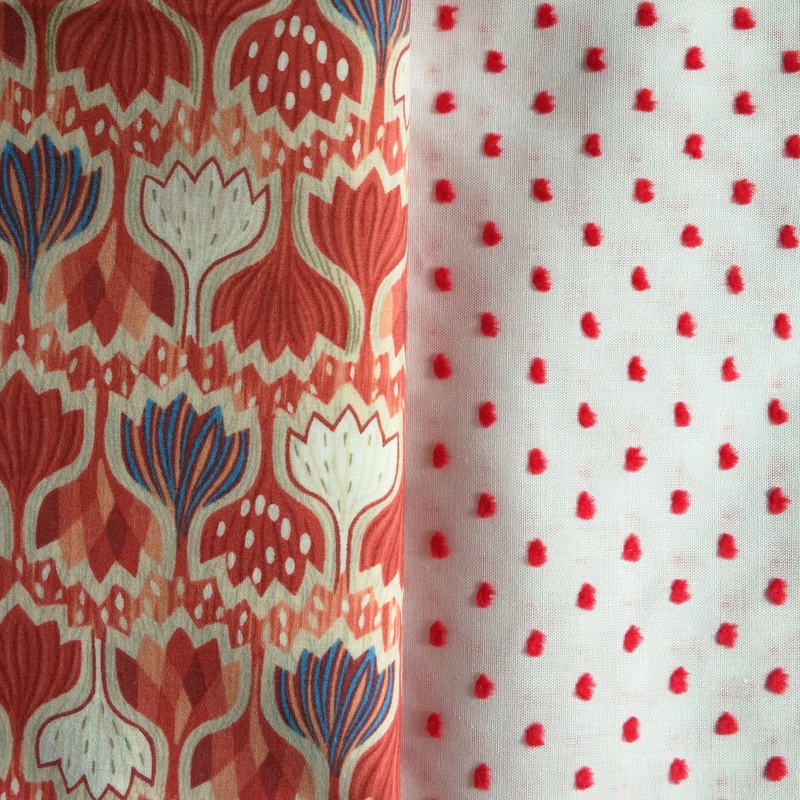 I have mixed prints on a couple of occasions but with one of the prints only as a bit of trim. Not a super fan of the high/ low hem. It can look like the clothing equivalent of mullet hair. The idea of facing the hem is a good one. I love the glimpse of colour in that TM tunic. It’s like when men have an unusual silk lining in their suits. Do love the blocking especially when it’s vertical!